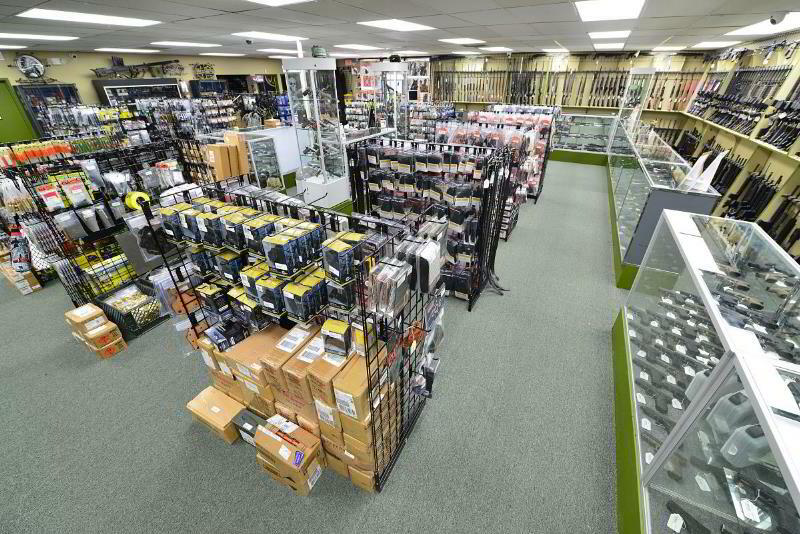 SSG Tactical is a federally licensed firearms dealer located in Fredericksburg, VA.
We carry one of the largest inventories of firearms in Virginia, with an extensive selection of handguns, tactical rifles and defense shotguns, as well as a huge selection of accessories including ammunition, holsters, optics, cleaning supplies, cases, etc. 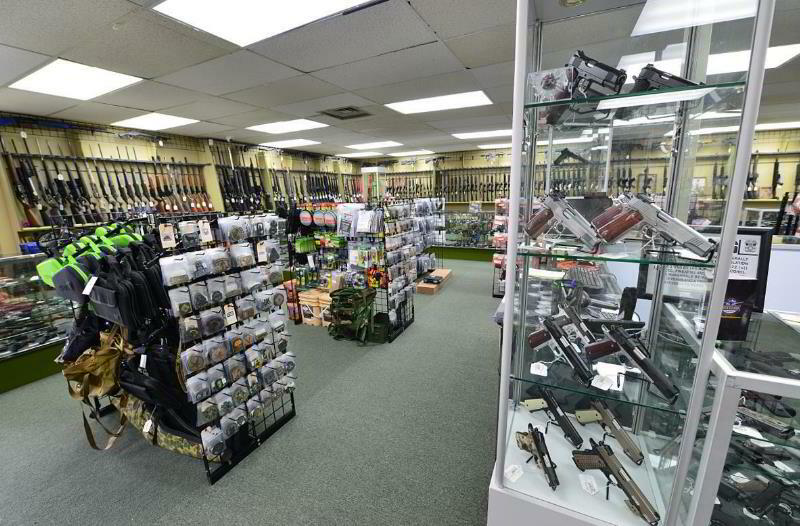 We also specialize in Class 3 firearms including machine guns and any other weapons (AOW's), with the largest selection of silencers and short barreled rifles in the state. 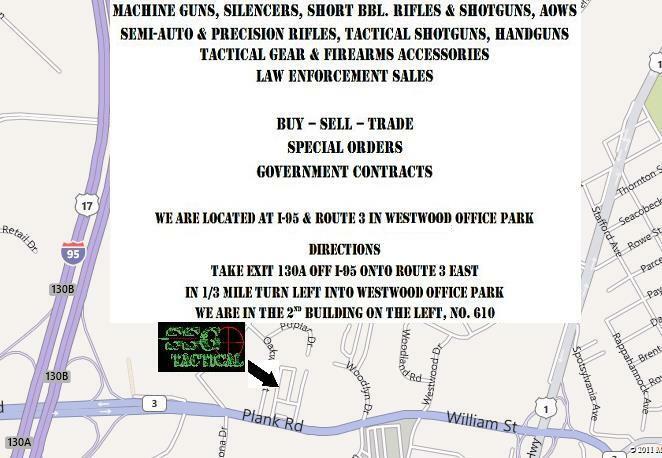 Our store is conveniently located on Route 3, 1/4 mile off I-95 in Fredericksburg, VA.
We are happy to handle firearms transfers for our customers. Our fee for standard firearms (handguns, rifles & shotguns) is $40 for the first firearm and $10 for each additional firearm on the SAME transaction, plus the VA State Police background check fee ($2 for VA residents, $5 for out of state residents). For Class 3 firearms our fee is $100 per transfer. We will provide you all of the necessary paperwork for this process. 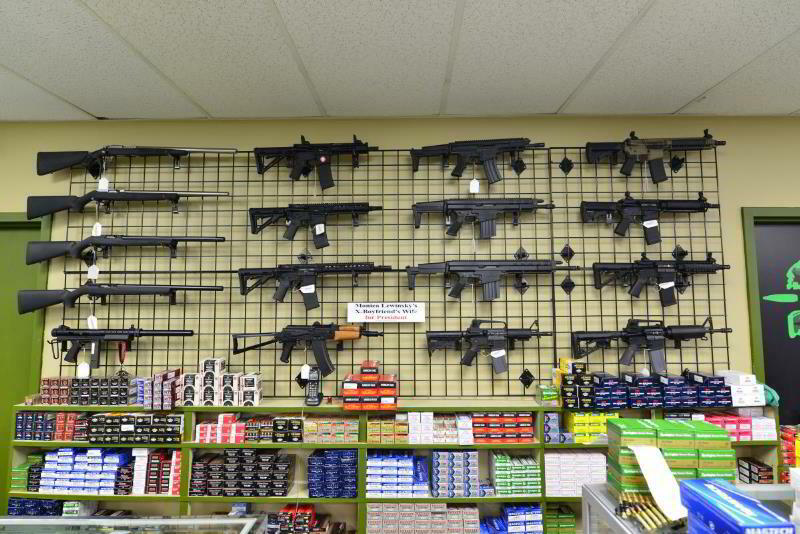 PLEASE NOTE: Firearms received for transfer may not be available until the next business day after receipt! 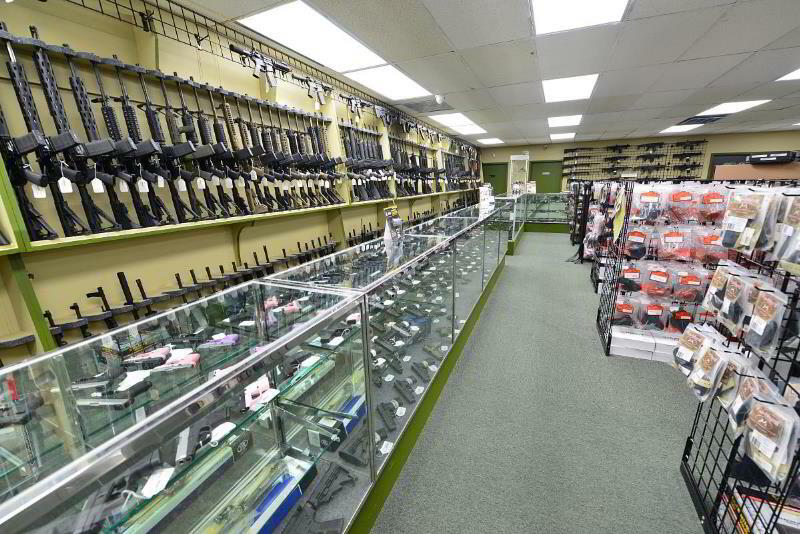 We have adminstrative processing requirements that must be completed before we can release a firearm. We are always looking to buy. If you have one firearm or an entire collection to sell, please let us know! We are proud to serve our military, police, and tactical community customers as well as the general public. To our military, law enforcement, and fire & rescue personnel, thank you for your service to our country! We accept VISA, Master Card, Discover, Check or Money Order. We do not add any surcharge for credit card purchases. Orders placed via the website will result in quickest shipment. To order on the web site simply find the items you want to buy and hit the "Add to Cart" button. Then proceed through the checkout process. SSG Tactical takes the issue of credit card security very seriously. Every time you send us your credit card number and your billing and shipping information, we use industry-standard Secure Sockets Layer (SSL) encryption technology to prevent the information from being intercepted. Our computers are protected via multiple firewalls as well as the latest in anti-virus software so that your information is always secure. All credit card information is automatically encrypted once your order is placed. If you would prefer to place your order by mail or fax please use our printable order form. We will handle your order as quickly as possible. We will e-mail you if there is a problem with your order. You can check your total costs prior to shipping by selecting the items you want on the web site. Actual UPS or USPS shipping costs will be added to your final total when we process your order. As required by law, a 5.3% sales tax applies to orders from Virginia residents.